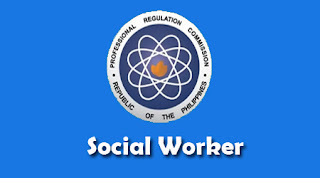 The Professional Regulation Commission announced the 1,110 out of 2,031 who passed the Social Worker Licensure Examination conducted by Board for Social Workers in the testing centers on Manila, Baguio, Cagayan de Oro, Cebu, Davao, Iloilo, Legazpi, Lucena and Zamboanga last June 2014. The board members of the Social Workers are Lorna C. Gabad, Chairman; Jesus S. Far and Mary Ofelia L. Endaya, Members. PRC said, that the results were released in two (2) working days after the last day of examination. Comments or suggestions about "1,110 Social Workers Board Passers (June 2014) - Social Worker List of Passers" is important to us, you may share it by using the comment box below.